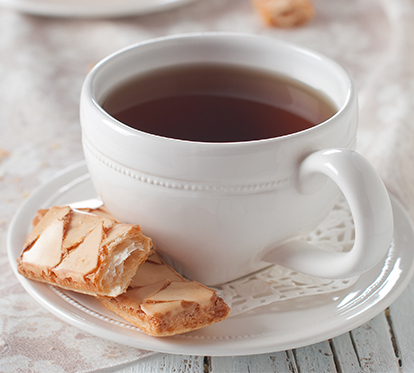 The Leader in Private Brand Teas and Specialty Brands. We specialize in black, green, herbal, specialty, organic tea bags & iced tea mix for private label retail, food service & specialty brands. Behind a great cup of tea is a complex process involving many talented people, years of nurturing, a wealth of technology & continuous innovation. The strength of Harris Tea comes from our extensive knowledge and skill with over 200 years combined tea procuring and blending experience. We have an expansive reach with four modern production facilities located in California, Georgia, New Jersey, and the United Kingdom. Our world class facilities have robust quality and food safety programs, and have earned top ratings in Global Food Safety Initiative audits. Good Manufacturing Practices (GMP), Hazard Analysis & Critical Control Points (HACCP), and Quality Monitoring Systems (QMS) are in place at all Harris production facilities. Harris Tea Company is committed to sustainability and environmental stewardship at the source of our teas & herbs, all the way to our manufacturing facilities. We were the first tea company in the United States to operate on solar power, now with 160,000 square feet under solar panels. Harris Tea is an industry leader in offering opportunities to grow your private brand business with new profitable items and product lines. We are committed to growing your brand by providing category and consumer insight and analysis, as well as, robust product development programs and merchandising tools. As the largest private brand packer in the US, we are committed to helping our partners by providing complete private brand solutions and expertise. We have the expertise to develop blends that exactly meet our customer’s requirements, as well as national brand specifications. Our blend development centers have the capability to match any taste profile and develop unique custom blends. Each blend is cupped and approved by our expert tea tasters before packing. Harris Tea Company has a dedicated staff of tea buyers around the world; our team personally inspects and qualifies the tea estates we do business with to ensure safe, consistent and ethical products. Our suppliers are validated for safe working conditions, pesticide management, good manufacturing practices & sanitation standards. Teas and herbs from around the world are then blended and packed in one of our four manufacturing plants to exacting standards. Blending and packing in four locations spread between California, Georgia, New Jersey, and the United Kingdom provides many unique advantages to our customers that only Harris Tea can offer. Our state-of-the-art equipment gives us the capability to pack every style of tea bag from square or round tea bags to flow through and pyramid formats. Most teas in the US supermarket were designed to make a good glass of iced tea – not a rich and flavorful cup of hot spiced tea or chai. The market was saturated with various teas and coffees, but no product was capable to fit the unique taste of spiced Indian chai. Seeing an untapped market for premium quality tea, we created Tea India. Tea India caters to tea patrons in search of a true cup of authentic chai. It’s not just any form of regular tea. We wanted to capture the true quality, taste, and experience of Indian chai in our product, so we went to the source: Assam. Located in the north-east corner of India, Assam produces teas which are famous for their fullness, flavor and brightness. The best Assam teas are produced during the months of May and June – just before the onset of the monsoons. The teas from this period are referred to as “second flush” teas. We take chai pretty seriously. Our professional tea tasters are sommeliers of the tea business. Tea India’s professional tea tasters taste several hundred cups of tea before choosing the right blend. We combine premium quality Assam tea leaves with natural spices from all over the world. We maintain consistency in quality by tasting each batch of chai so you can expect the same, consistently delicious, and refreshing cup of tea each time. Newman’s Own Foundation uses all royalties and profits that it receives from the sale of this product for charitable purposes and has given over $500 Million to thousands of charities since 1982. Our certified organic, full-flavored Newman’s Own Organic Tea teas sourced from high quality tea plantations are blended to satisfy both green, black, herbal and specialty tea drinkers. Red Rose Tea was first blended by Theodore Estabrooks in the 1890s, dedicated to producing a quality blended tea that was consistent from cup to cup. For over 100 years, we’ve kept that promise and remain committed to providing a perfectly-balanced, great-tasting tea. *Red Rose brand is under license from Redco Foods, Inc. Since first founded by Peter C. Larkin in 1892, Salada Tea has provided a consistently high grade of tea innovatively packaged for easy enjoyment. To this day, we share Mr. Larkin’s standards of quality and accessibility to bring the healthy benefits of green tea to all. *Salada brand is under license from Redco Foods, Inc.
Southern Breeze Sweet Tea was established in 2014 with one thing in mind: to bring our Sweeties an easier way to make Southern style sweet tea without all the sugar or guilt. Southern Breeze Quart Size sweet tea bags are made with real tea leaves and zero calorie sweetener in a pre-sweetened bag that you hot-water brew, steep, chill and enjoy – with no sugar, Sugar! By pre-sweetening our specially blended tea, we make it down right easy for y’all. That’s because the sweetener is already in the tea bag. All of our teas can be made in just 5-minutes! We made Southern Breeze to be everything sweet tea should be and more because the sweetener is already is the bag and it’s zero calories! BIG TEA is specially made for those who require a big beverage to help them conquer their day. With twice the tea volume as standard tea, your customers will enjoy a full-flavored tea when they add up to two cups of hot water – that’s twice the size of a typical tea offering and double the satisfaction. Our full line of robust black, genteel green, exotic chai and naturally caffeine-free herbal teas, along with our specially flavored blends satisfies every time. Our master blenders have created a range of authentic tea blends inspired by their motherland, India. From Chai to Ayurveda blends they have created a tea to help you find joy, balance and contentment. Ayurveda is the oldest-known system of medicine, rooted in India, dating back over 5000 years, ultimately guiding us to a holistic way of life. As the sister science of yoga, Ayurveda not only aims to treat the root cause of illness but uniquely focuses on preventative healthcare as a lifestyle. Chirayu and Jimmy have created a range of delicious Ayurvedic infusion to help you on your Ayurveda journey, made with ingredients widely used in Ayurvedic practise. We can’t give you his childhood memories but he can share his family’s delicious Chai recipes which capture the authentic taste of India and bring you the evocative aromas that would filled have his home. Working with our expert tea blenders, Tea India® has created a range of four Chai blends – Masala, Cardamom, Ginger and Coconut – using fine Assam tea blended with spices captured in a tea bag. Delicious, warming and invigorating Chai made easy for you to enjoy every day. Chai is at the heart of Tea India; it’s all that we do and with our blender’s memories, knowledge and expertise, we invite you to enjoy the authentic taste of India. Each sip will evoke the sights and sounds of the landscapes of India. Bright, warming and invigorating, Dorset Tea brings life, color and vitality to everyday moments, giving you the natural taste of Dorset no matter where you are or what you’re doing. In 1934 our founder Keith Spicer started blending teas in his Bournemouth kitchen. Equipped with an old butcher’s bike he set out to deliver his creations to businesses around Dorset. 75 years later in 2009 Dorset Tea™ was created to celebrate Keith’s work and Dorset’s natural beauty and sunshine which goes into every cup today; that’s why we call our black tea, our Sunshine Blend. Our tea blenders are experts in creating award winning teas and carefully select teas from Africa and India to keep Dorset Tea™ Sunshine Blend tasting as delicious today as it always has. With 57 years combined tea blending expertise, our team works collaboratively with specially selected tea gardens, selecting only the best teas for use in our precious blend. They work hard to ensure that the Dorset Tea™ Sunshine Blend consistently delivers a smooth tea that is full of flavour. Our love of Dorset has inspired us to create a new range of fruit & herbal infusions and green teas which capture the all-round loveliness of our beautiful county. From Strawberries & Cream tea to Cool Camomile, our new teas will bring you the taste of Dorset wherever you happen to be. The British Retail Consortium is one of five Global Food Safety Initiative Audits. Harris Tea has chosen BRC as our certification body to assure our facilities meet GFSI standards. Harris Tea is a licensed organic tea manufacturer with organic packing facilities in both Georgia and New Jersey. C-TPAT is a voluntary government-business initiative to build cooperative relationships that strengthen and improve overall international supply chain and U.S. border security. The Marietta, Georgia & Anaheim, California facilities are C-TPAT audited by Customs and Border Protection. Many of our specialty and herbal teas are Fair Trade certified. Fair Trade Certification empowers farmers and farm workers to lift themselves out of poverty by investing in their farms and communities, protecting the environment, and developing the business skills necessary to compete in the global marketplace. Harris Freeman is recognized by the Minority Business Development Council as a minority owned business. The two Harris Tea locations are FSMA compliant. The Marietta, Georgia, Anaheim, California and Moorestown, New Jersey facilities are Kosher K and OU Certified. Harris Tea offers Rainforest Alliance certified teas. The Rainforest Alliance is an international nonprofit organization that works to conserve biodiversity and ensure sustainable livelihoods. The Moorestown, New Jersey facility is certified Halal. The Moorestown, New Jersey facility is NSF certified for dietary supplement production. Harris Tea Company operates four state-of-the-art tea blending and packing plants located in Georgia, New Jersey, California, and the United Kingdom. Our expansive coverage maximizes the logistical advantages for each of our customers. Multiple manufacturing locations also insulates our customers from supply disruptions in the event of unforeseen production interruptions (either natural or man-made) at any one location. Blending and packing in four locations provides many unique advantages to our customers that only Harris Tea can offer. Harris Tea Company’s world class manufacturing facilities have robust quality and food safety programs, and have earned top ratings in Global Food Safety Initiative audits. Good Manufacturing Practices (GMP), Hazard Analysis & Critical Control Points (HACCP), and Quality Monitoring Systems (QMS) are in place at all facilities. We are a licensed organic tea manufacturer, and many of our specialty and herbal teas are Organic, Rain Forest Alliance and Fair Trade Certified.